Project Alicia : Sunday Smiles & I'm Handin Out Awards! Sunday Smiles & I'm Handin Out Awards! After my FFOs (Friday Flip-Offs) Virtual Detox of sorts I thought it'd be nice to do some Sunday Smiles. It was started by Melissa over at Miel et Lait. Stop by and leave her a note. She's been a bit under the weather. 1. A renewed appreciation for good health. 2. Children who say the funniest random things and crack me up. 3. Watching the kids take the deep end test and pass. 4. Little Man's excitement over a caterpillar. 5. Having such a handy husband. He was able to fix both my k key and broken doorknob. 6. Beautiful pool days despite the forecasts. 7. Another prospective buyer on the horizon for our 2nd home. 8. Little Man walking Pokey home from school by choice. 9. Great sleep. Nothin like it. 10. Receiving so many beautiful bloggy awards from such talented ladies. I am handing out AWARDS!! THANK YOU, THANK YOU, THANK YOU!! Can't thank you enough for all the support and encouragement that you've shown me and my lil 'ole blog. There ya have it in no particular order. Whew. I could have done so many more. Maybe next time. You ladies can pick one or both. Your choice. In case you haven't seen me, I'm away and will be back in about a week. Hope you are finding some smiles! Congrats on all the awards! Well-deserved! Congrats on the awards... and thank you so much for paying it forward to me and my little blog :) You're definitely one of my faves...have a great time away! It doesn't even surprise me that you have received soooo many awards. They are all well-deserved! Thank you for turning around and honoring little old me with an award also. You're a beautiful person inside and out! Wahoooo awards!! Way to go, you definitely deserve them!! Cool awards, girl! Truly well deserved and thank you for passing it to me...you are a sweetheart! Congrats on the awards. Love the list of things that made you happy too. Thank you so much, Alicia! 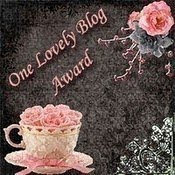 I'm thankful that I found you in the blog world, and the award means a ton. XO! Thanks Alicia and congrats on all your awards! Looking forward to checking out the other ladies you mentioned who I haven't visited before. Hope you are having a wonderful vacation! Big congrats on the awards...and thanks for passing the love on :) Hope you're having a fun time away from the blogosphere! Congrats Lish! You're totally deserving of these awards. You consistently put out great posts with awesome photos and I'm just constantly in awe of you. As for the awards you paid forward? I'm so not worthy, but I'll take it anyway. lol Thanks Lish! Hope you're having a great weekend. Congrats on the awards, Alicia!! 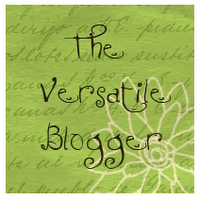 Thanks so much for your kind words about my blog and passing them along to me. Take a moment when you get back to check out my blog as I will have something for you too. THANK YOU!! You are all kinds of awesome for this. Since you have exquisite taste (heehee) I am uber flattered. Thank you!! Way to go on the awards, and sharing with us your gratitude! Go you!!!!! Congrats on the awards. Love coming to read your blog. Thank you for accepting my award and doing the post. Also got a renewed appreciation for health. Loved your Sunday Smiles. There's nothing like appreciating the little things in life.